Project Cannon Cares was a huge success this week as citizens and local schools donated thousands of items to assist with the tornado relief effort in Alabama. Project Cannon Cares, spearheaded by Shannon Davenport, raised enough items to fill the back of a tractor trailer. Those items were transported to Alabama Friday morning. 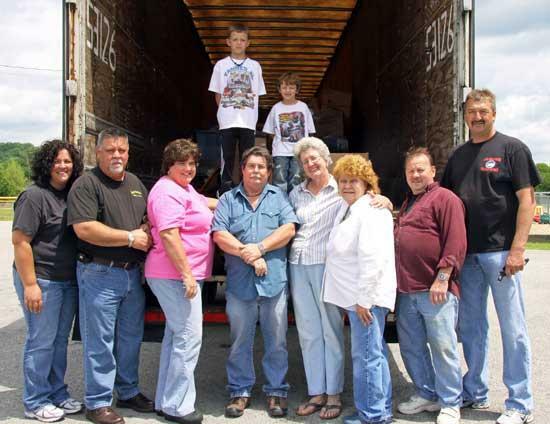 Among the people assisting were, from left, Shannon Davenport, Roger Hindman, Sharon Hindman, Willie Blackburn, Linda Campbell, Sue Hess, Jim Hess, Russell Davenport and, standing in back of truck, Gus and Bode Davenport.